I have some recent images of this if you want them I will send them to you. 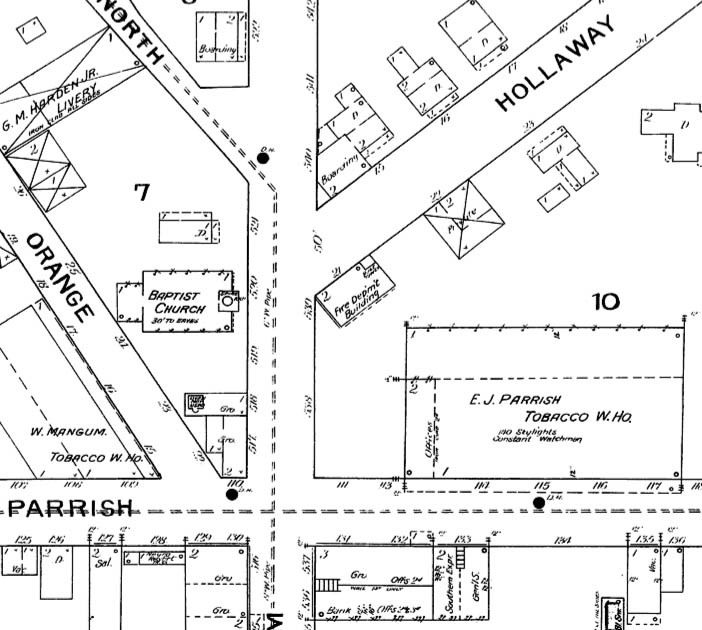 The home of the "Golden Belt Hose Company", a primarily volunteer firefighting squad, was constructed at the intersection of Holloway and Mangum Streets between 1888 and 1893, likely in 1890, on land adjacent to the E.J. Parrish tobacco warehouse. 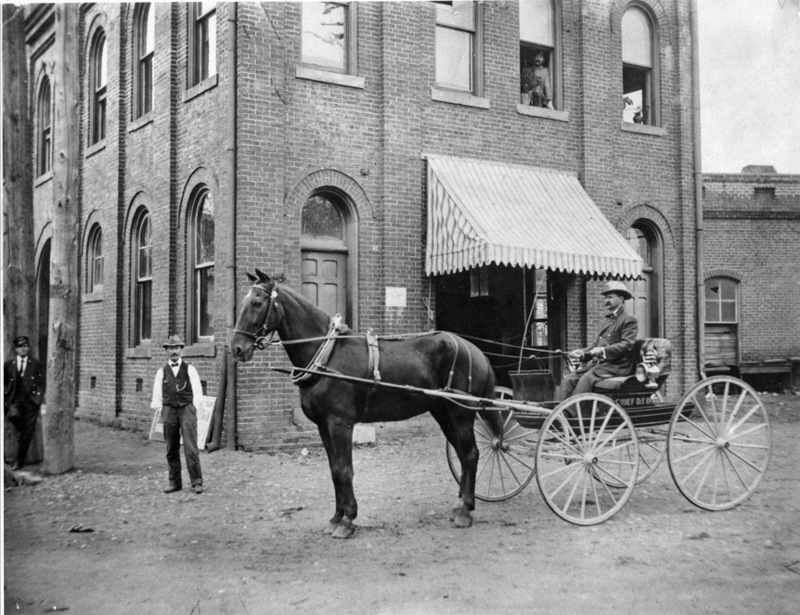 Fire Station #1, probably around 1900. Fire Chief Dennis Christian in front of the Fire Station. By the 1910s, the Mangum St. side of the building had been remodeled with large doorways to allow motorized trucks to move in and out of the station. 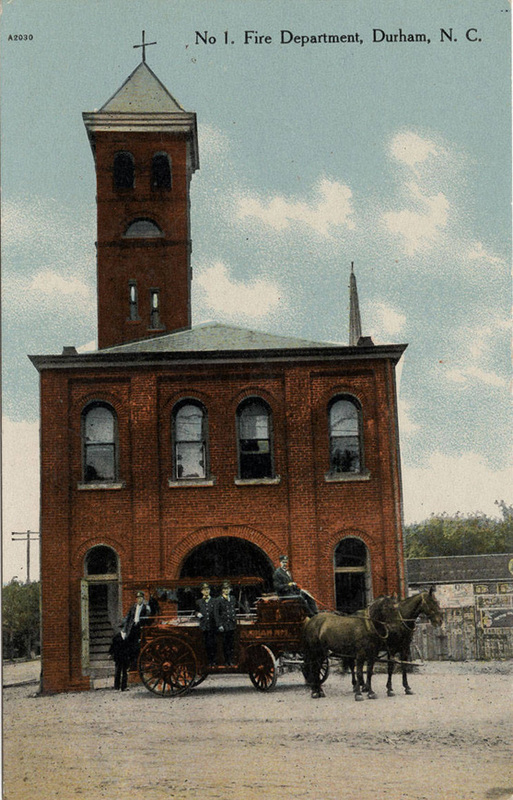 Above, the Italianate Fire Station around 1910, and Company #1 demonstrating their motorized equipment, which was replacing horse-drawn equipment that was not fully phased out until 1918. 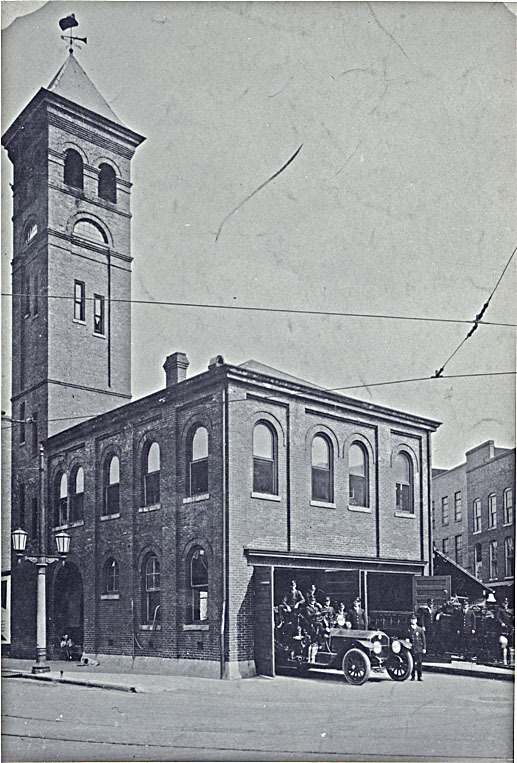 The fire company in 1922. Commercial structures along Holloway to the left and the back of commercial structures facing Parrish St. are to the right. Below, a view from the same era, showing the Rogers Drug Co. and First Baptist Church. In 1924, the original fire station was torn down, and a new one designed by Milburan and Heister was constructed on the same spot. 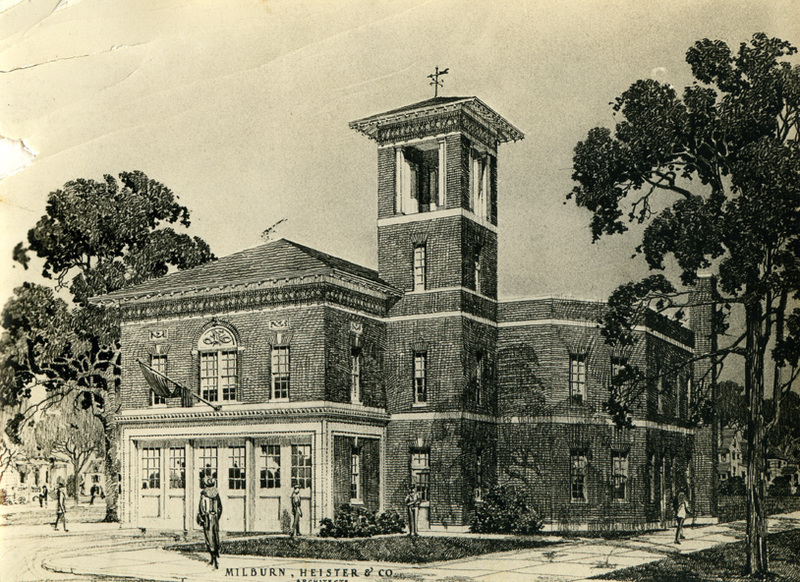 Milburn and Heister rendering of the new station. Below, the view looking northwest over the buildings on Parrish St., with the First Baptist Church on the left. The foundation and first-floor walls are in place of the new building. The new fire station bore some resemblance to the original, but reflected a more typical 1920s appearance, with Craftsman-style elements such as exposed rafter tails as well as multipane windows and doors. The doors were still side-hinged (swinging outward). By 1960, the doors had been replaced with roll-up rather than swing-out doors. Below, an aerial view from the early 1960s showing Fire Station #1 in context. By 1964, a new fire station #1 was built at Cleveland and Morgan Sts. and this fire station was left empty. It was purchased and converted into offices in 1969 by Gerard Tempest, who had earlier built The Villa in Chapel Hill out of parts of Harwood Hall and Four Acres. Which it remained through the later decades of the 20th century. Former fire station #1, 1980s. This is another Greenfire property, in the midst of renovation during 2007-2008 in conjunction with 107 East Parrish St. and the Rogers drugstore.